Senior care cleaning services are available for senior adults in Kansas City. The older one gets, the harder it can be to get around and take care of tasks such as home cleaning. Miss Brightsides Maids provides their senior care cleaning services to the entire metropolitan area. Now that the holidays are behind us and visiting family has gone back home, many of us find that the house just needs a good cleaning and everything put back where it belongs. Unfortunately, for some of that is easier said than done. The infirmities of aging tend to prevent any activities that are physically demanding. Pushing a vacuum cleaner, dusting and scrubbing – it’s all just a little too much for some elderly adults to do comfortably. It is times such as these that the friendly senior care cleaning services at Miss Brightsides Maids can help. We are committed to maintaining a safe and clean home for our all of our clients. When you need just a little help keeping your home clean and tidy, give us a call. We completely understand that when you’re at this point in life housework can become a real chore. Our detailed senior care cleaning services more than suffice. We can relieve you of some of the stress you may be feeling. Let us help you keep your home comfortable with our light housekeeping assistance or a more in-depth cleaning. We will give you a clean, healthy environment. Dusting ceiling fans, corners, furniture, pictures frames and more. General tidying-up throughout the home. Our senior care cleaning services can make a huge difference for you by allowing you to enjoy and relax in your home, spend time with friends and family or work on crafts and hobbies. At Miss Brightsides Maids we know that moving around the house to clean involves some risk as we age. Our maids will help identify any safety issues and do everything they can to make your home safe and comfortable. ne-size-fits-all senior care cleaning services. 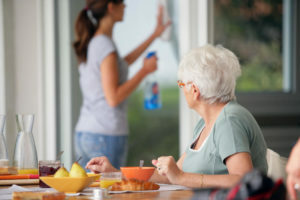 With seniors aged 85 and up as the fastest growing demographic in America, it’s easy to see why home cleaning companies are starting to adjust their services to accommodate this growing trend. Tasks may also be adapted to include mowing the lawn, buying groceries and taking you to a doctor’s appointment or the hair stylist. Adult children who live too far away from their elderly parents have peace of mind knowing their loved one is looked after in a healthy environment. Special senior care cleaning services may also include checking the refrigerator and pantry to make sure there are adequate food supplies on hand. Additionally, more in-depth cleaning can be arranged, such as cleaning out the inside of the refrigerator, cleaning floor vents, oven cleaning and more. Miss Brightsides Maids want to make your life better and will do our best to accommodate your specific needs. The senior care cleaning services from Miss Brightsides Maids is an important component helping seniors live independently while at the same time receiving much-needed help with daily or weekly home cleaning chores. At Miss Brightsides Maids , we understand elderly customers may be burdened by medical expenses and are often on a limited budget. Whether you or someone in your family needs some help keeping the house up and maintaining it on a limited basis we will do our best to accommodate your needs. 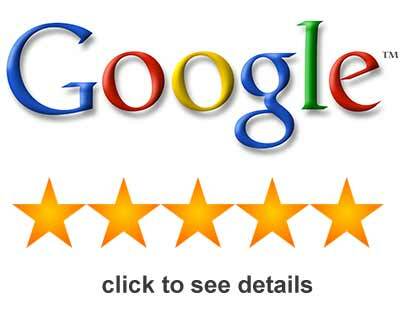 Give us a call at 913-782-1710 to schedule a free cleaning estimate! « Home Cleaning Services – What We Do at Miss Brightsides Maids!